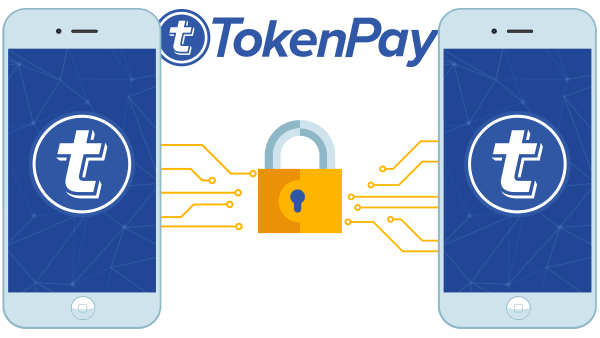 TokenPay is a secured payment platform that enable transactions between multiple parties using TPAY in order to bridge cryptocurrencies to hard assets from the non-digital world. TPAY is operated based on Bitcoin cryptographic technology including security and privacy features. The TokenPay platform transacts primarily through the TOR Browser and ensures the anonymity of the origin IP addresses. 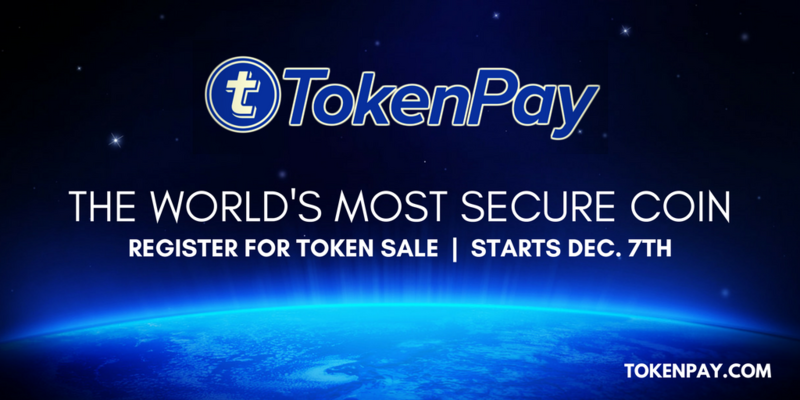 TokenPay features Multi-Signature Transactions, Ring Signatures, Dual-Key Stealth Addresses and Zero-Proof Knowledge for world-class security measures. TokenPay is a blockchain program that joins Bitcoin cryptographic in advanced security and protection highlights to create the world’s first bank that embraces cryptocurrency activity. Tokenpay convert cryptocurrency to fiat currency in real-time to allow customers purchase hard assets and offer private exchange services under the custody of a regulated and licensed bank. TokenPay is a digital token that aim to provide customers the ability to facilitate cryptocurrency to real asset transactions without stress and merchant services in which businesses around the world can transact with TokenPay as well as other cryptocurrencies. Global ATM Access: provides bluediamond card that can be assess by ATM's all over the world. Real-time Conversion: ensures that transactions can be made via the BlueDiamond card which could be automatically convert to the currency of the merchant. Blue Diamond Card Purchase Rewards: permits all transactions to be paid with TPAY will receive a 1% crypto-back reward. Low Cardholder Fees: TokenPay will offer lowest fees in the industry to make sure owning and using the BlueDiamond card is eco-friendly. TokenPay will be using the highest ECC encryption available to ensure that business wallets are protected from hacking. TokenPay will be launching a hard capped TokenPay digital token sale. This will enable the administrators to add more features to the ecosystem. The maximum target will be 5000 Bitcoin during the token sale. The token sale is expected to start on the 7th of December, 2017 at 10:00 hours NYC time and will end on the 17th January, 2018, at 08:59hours NYC time. To participate in the TokenPay token sale, TokenPay will only accept Bitcoin. Intended TokenPay buyers can transact any amount of bitcoin including fractional amounts such as 0.010 Bitcoin.1 TokenPay is equivalent to 0.0005 BTC. There will be a discount bonus for early subscribers to the TokenPay platform. This discount decreases from day one to the last day of the sale. Token sale purchases will receive bonus TPAY coins. The earlier the entry, the greater the reward. The sale is capped with a finite amount of TPAY being offered. The bonus is up to 50% of the TPAY purchase value. So, a 2000 TPAY coin buy will receive 3000 TPAY coins in the first 7 days of the official token sale. There is also a TPAY referral program. Interested parties can inform others about the TPAY token sale and distribute a custom referral link. When a signup is made through this dedicated special URL, up to 20% of the total value of the TPAY purchase is sent to the link owner. Purchases through these referral links are still eligible to receive the corresponding TPAY bonuses. There are no refunds once Bitcoin has been exchanged for TokenPay. The token sales details are stated below for more clarity. TokenPay token Registration from the first day of the sale which is the 7th to 13th of December, 2017 will attract 50% registration bonus and 20% referral bonus. Registration within the second week, which is 14th December, to 20th December, 2017 will attract 40% registration bonus and 15% referral bonus. Registration between 21st to 27th December will attract 30% bonus and 15% referral bonus. Registration from 28th to 3rd January, 2018 will attract a registration bonus of 20% and 10% referral bonus. Registration from 4th January to 10th January, 2018 will attract 10% registration and 10% referral bonus. But from 11th to 17th January 2018, which is the final week for the token sales, the platform will be given out only 10% referral bonus, no registration bonus. So hurry up and register because the earlier the registration, the bigger the registration bonus likewise the referral bonuses. TPAY digital tokens will be transferred 15 to 30 days following the completion of the token sale. Purchasers must submit their TokenPay wallet address in order to receive their TPAY coins. Some of the upcoming programs of this platform will be completion of token sale, development of TPAY apple iOS mobile wallet in the 1st quarter of 2018, launch of TokenPay website for commercial purposes and complete partnership with bank in the second quarter of 2018. Finally, there will be issuance of debit card ships to account holders in the 3rd and 4th quarter of 2018. TokenPay website launched for commercial use. Complete acquisition or partnership of Bank. P2P multi-screen payment platform. Global merchant services application available.